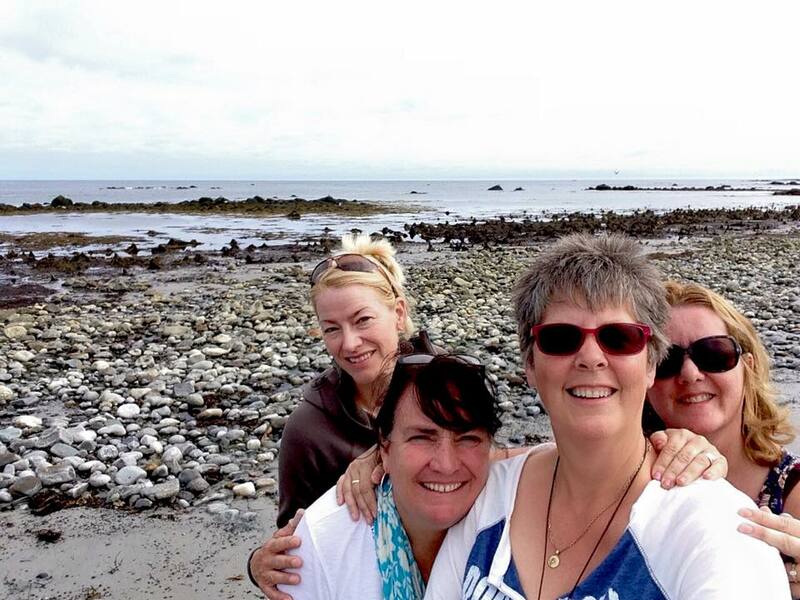 BCMFest is celebrating 15 years, and continue to bring the Irish, Cape Breton, and Scottish communities together. Each tradition, though distinct, delivers a high level of musical heritage to the community. Greater Boston area music lovers will be in for a sweet treat during the 2018 festival. 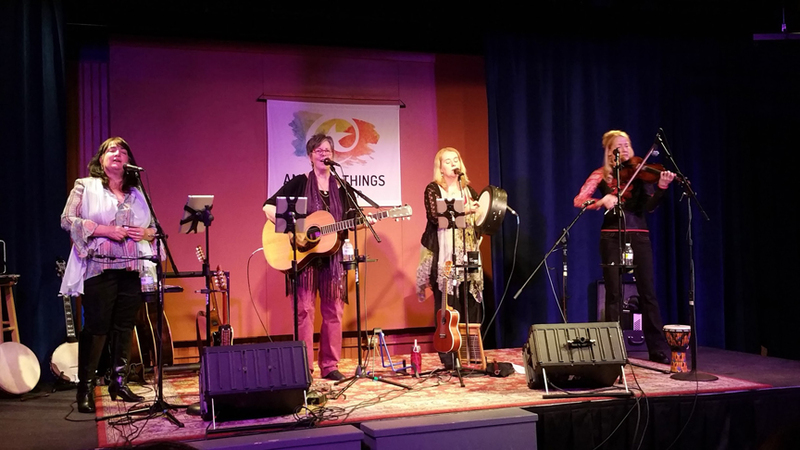 The Festival flagship, Club Passim, is proud to present The Kelly Girls on January 20th, 2018, from 4:45 to 5:15. 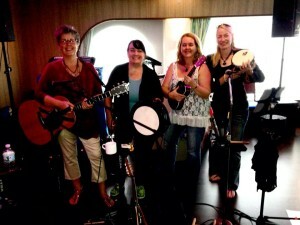 The Kelly Girls will present rousing and heartfelt originals and traditional songs that will surely have the audience singing and clapping along. 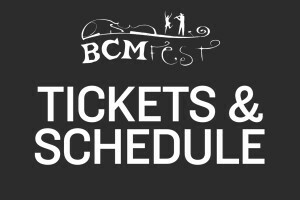 More BCMFest information and tickets can be found here. 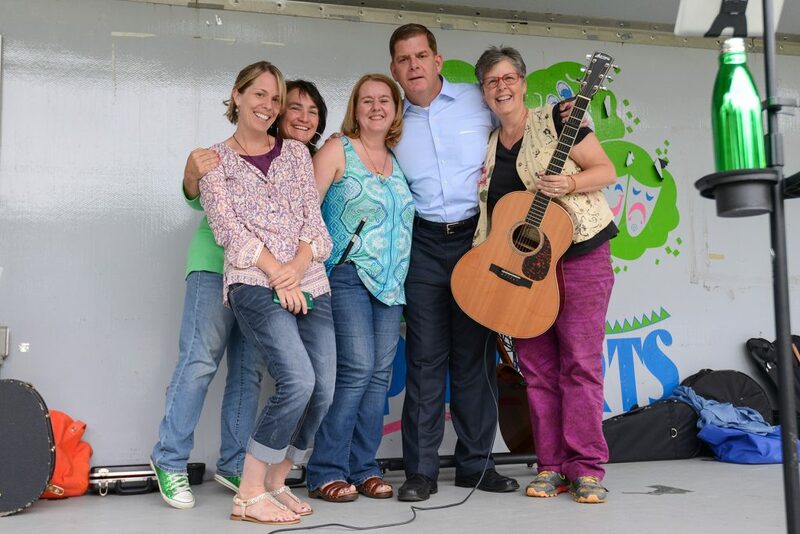 Charlestown is the oldest neighborhood in Boston and The Kelly Girls were there to help celebrate Pride Week along with Boston’s Mayor Marty Walsh. Fine Irish gentleman that he is, when he stepped on stage for a wee speech, he ignored the mic until he shook hands and said hello to each of us. 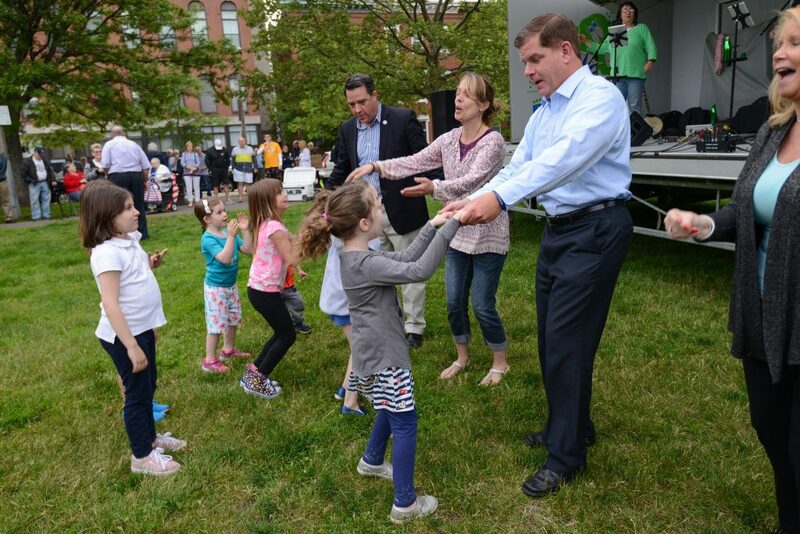 During his address, Mel and Chris schemed to push up The Unicorn Song in the set list and then enlisted Mayor Walsh to help lead the dance! It was really sweet to see him learning the moves along with all the children in the park. What fun! Thank you to the organizers for all your work in bringing this Pride Concert Event to your neighborhood! Yes, it’s the time of year when fortuitous folks around the world honour St Patrick, and it’s the favourite month on the calendar for The Kelly Girls! Want to be part of the fun? Check out these fabulous opportunities to celebrate everyone’s patron saint on March 17th. Friday, March 17th, 8:00 p.m The Bull Run Restaurant in Shirley, MA in the Sawtelle room. Tickets Here. Saturday, April 8th, 8:00 p.m. at Amazing Things Arts Center in Framingham, MA. 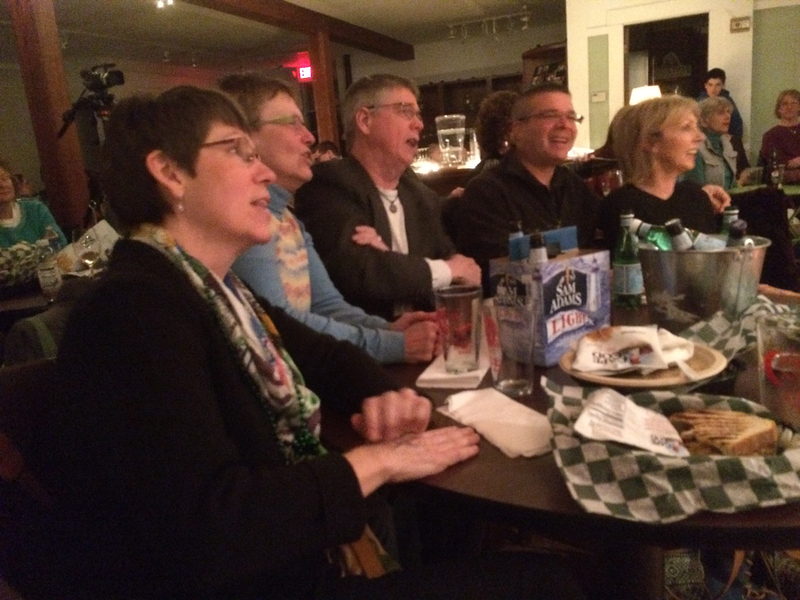 St Patrick’s Day at The Bull Run Restaurant! 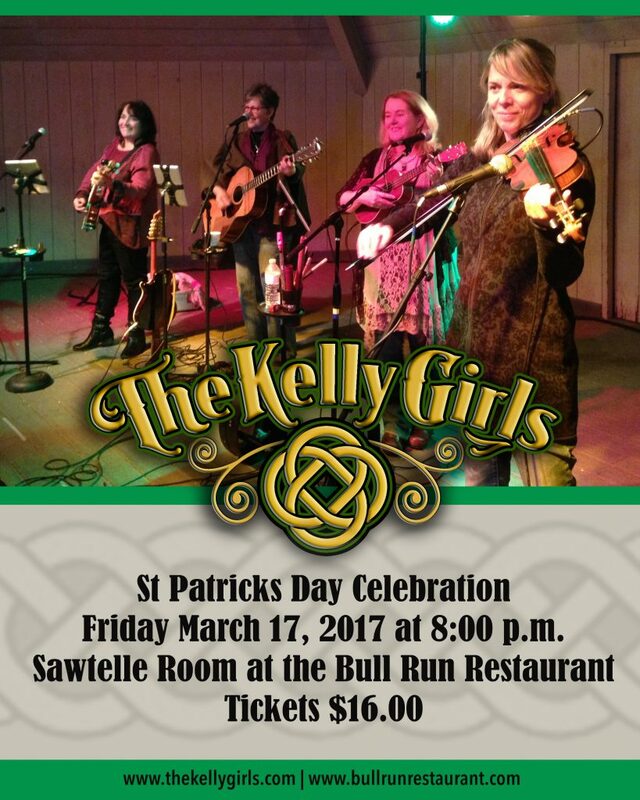 St. Patrick’s Day is just around the corner and The Kelly Girls, along with The Bull Run Restaurant are planning a Ceilidh like no other! 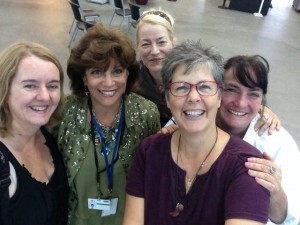 Want to be part of the fun? Of course you do! “The night was clear and the stars were shining, and the moon came up so quiet in the sky” – Bill Staines‘ lyrics from ‘The Roseville Fair’ couldn’t have been more true in Topsfield this past Thursday night. 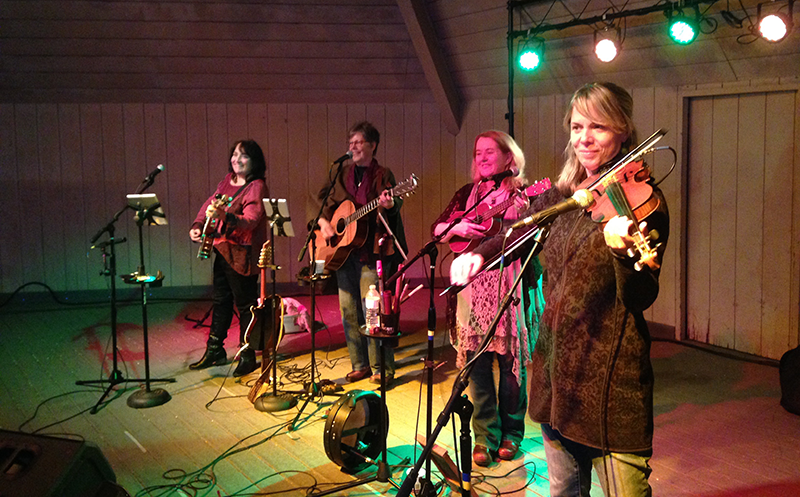 The Kelly Girls tuned up and folks danced to the fiddle and the banjo all evening. We are so pleased to introduce the newest Kelly Girl to our audience. Fiddler Melinda Kerwin has been a staple of the New England Celtic music scene for well over a decade, playing in bands DownDog and Mollie’s Misfits. 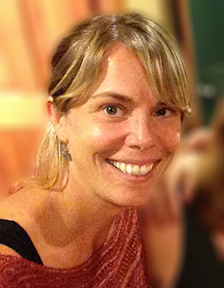 When Mel jumped off the stage at the Topsfield Fair to gather the kids and lead the gestures while singing “the Unicorn” song, we knew she was a perfect fit. Welcome Mel. Thanks to all of you who came out to celebrate with us at the Fair – and Thank you to the Fair Board for booking The Kelly Girls for this great gig. Jon Pappalardo was in the audience at our recent show and wrote a wonderful review of our performance. It’s so nice to hear praise and kind words for our efforts. Thanks Jon! “The cultural immersion kicked into high gear when The Kelly Girls took the stage in the second half. 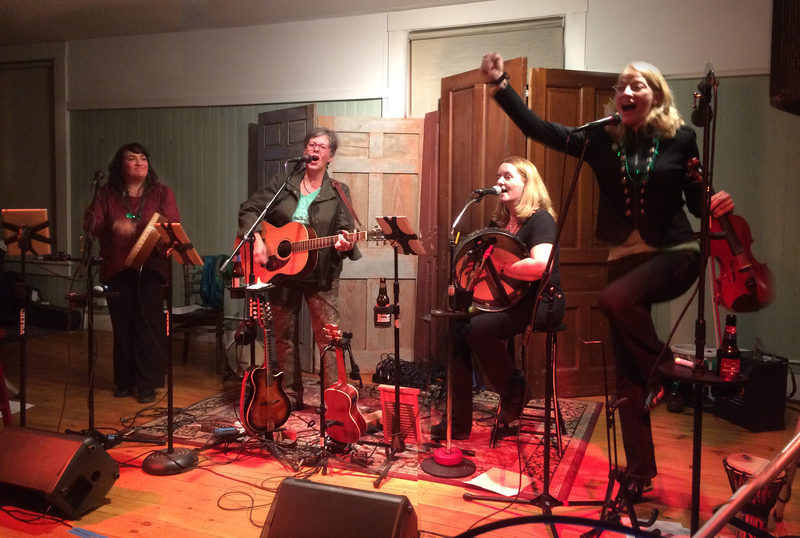 The four-piece Celtic band, of which Beaudette is a part along with Christine Hatch, Aisling Keating and Theresa Gerene, performed songs that traversed centuries, generations and even ancestry. Gearing Up For St Paddy’s Day! 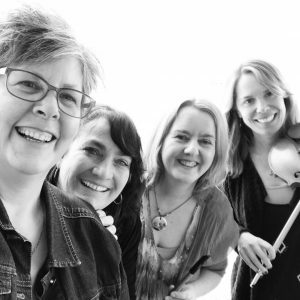 The Kelly Girls are polishing up the fiddle and banjo – and all the other instruments too – and breaking out your favourite St Patrick’s Day tunes. 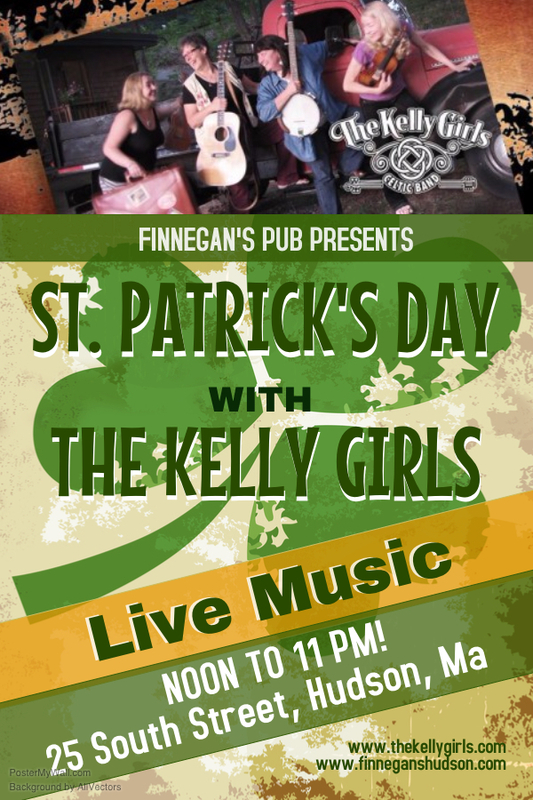 On Thursday, March 17th, you’ll find us at Finnegan’s Pub in Hudson, MA. We’ll start the party at 12:00 Noon and play through until 11:00 p.m. Yup. All day. Come sing along, have a pint and some Irish grub. Gonna be a heck of a good time. Another in a series of features about BCMFest 2016 that will be appearing in this blog right up until the festival (January 8 and 9, if it’s not on your calendar yet), so as to better acquaint you with the events, activities and personalities that make up BCMFest. 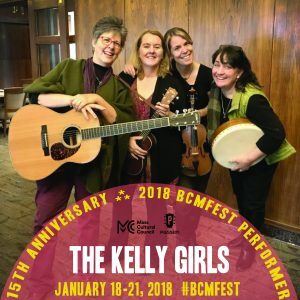 If you go to a Celtic music festival with the hope — no, make that the expectation — of being able to join in a song or two, well, you should get yourself to The Attic at 1 p.m. during BCMFest’s Dayfest (January 9): That’s when The Kelly Girls and òran mór will lead a good hour’s worth of sing-along songs. The Kelly Girls took to the high seas on Sept 10th aboard the Nova Star Cruise Ship! 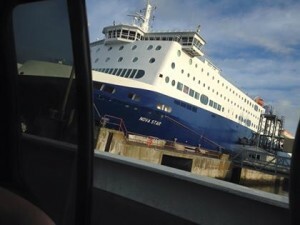 We entertained travelers destined to Yarmouth, Nova Scotia from Portland, Maine on this wonderful ferry equipped with all the amenities! Once on Canadian soil, we had the pleasure of staying with terrific Airbnb.com hosts Marla and Walter from Cre8 in Pubnico. 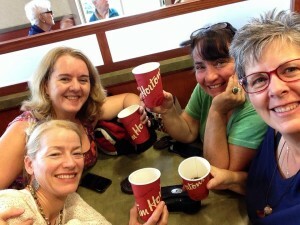 Of course we found amazing food too, and new friends to share it with (thanks Tom & Juanita)! If you’re in the Yarmouth area we highly recommend Red Cap Restaurant, Dennis Point Cafe and Rudders Brew Pub! Yes, the beer was excellent!! 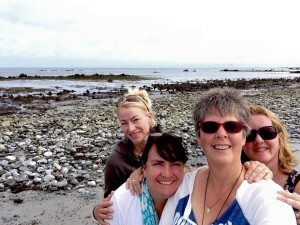 We spent a wonderful day at Hawk Beach and then boarded the Nova Star Sunday morning to entertain on the return trip. We’re already looking forward to playing on the ferry again and hope you’ll join us next time! p.s. 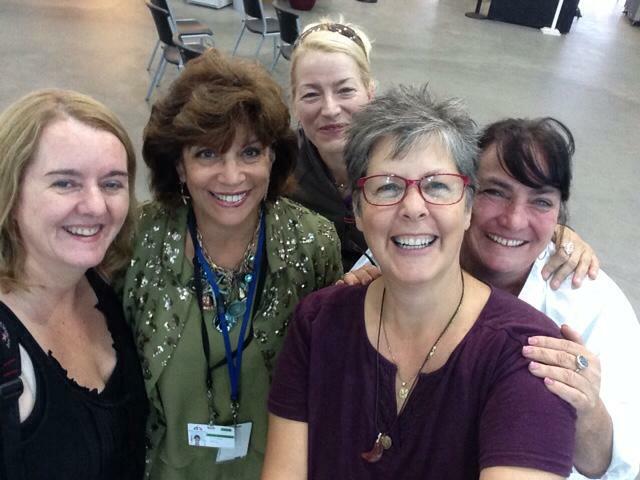 We just got ourselves a ‘selfie stick’!!! Hope you enjoy these few photos. 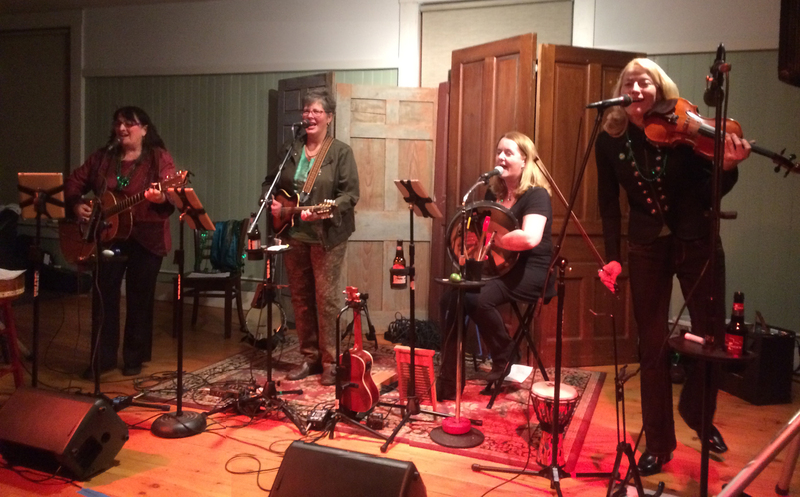 The Kelly Girls played a sold out show at the Harvard General Store last Friday night. 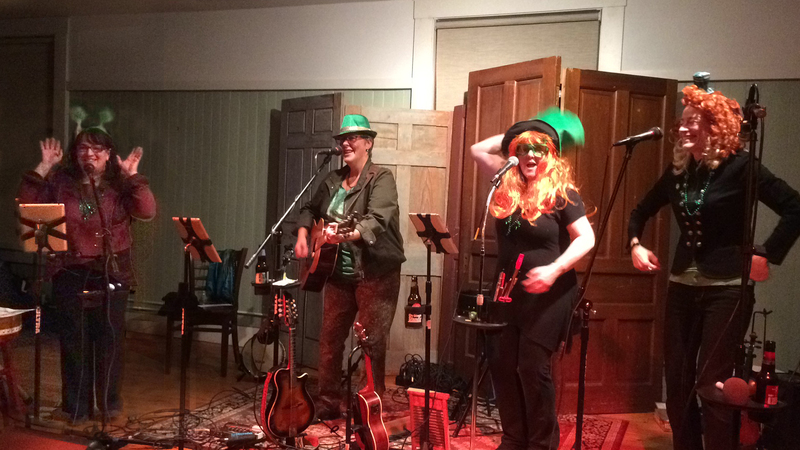 It was an early start to St. Paddy’s week, and the first of four shows for TKGs. The General had a terrific menu including a fabulous corn beef panini! Irish dancing was certainly a highlight! Our guest Ciara McGillivray put on quite a wonderful solo Irish dance performance inspiring the crowd to jump to their feet to give it a try themselves! There were tons of prizes, including TKG T-shirts, beautiful beer mugs, bumper stickers, gift certificates and St Paddy’s paraphernalia! If you missed the show and want a beer mug, you can get one here! Oh, and if you missed the rousing rendition of the Unicorn Song – you’ll have to come out to one of our show on the 17th! Check out our schedule here. Here are a few pictures of the evening.